Potato, potahto. Tomato, tomatoh. Pimento, pimiento? Of all the spellings and pronunciations to argue about, the use of the second "i" in pimento is, at least to this writer, the silliest. According to some Southerners, it isn't the true cheese-and-pepper dip/spread without that extra "i." To others, the extra letter adds another layer of confusion to the actual provenance and ingredients in the dish — is it pronounced pimmena, pim-ee-ento, or pim-en-toh? According to the journalist's bible, the AP Stylebook, pimento should always be spelled "pimento," except when you're referring to the Masters Tournament, in which case it should be spelled "pimiento." (However, photographic evidence shows that the vendors at Augusta National actually spell it with only one "i." Huh.) So what's right and what's wrong? After at least a few hours of research, I've decided that the answer is yes. To all of the spellings and pronunciations. It is all correct, and it is all kind of confusing. 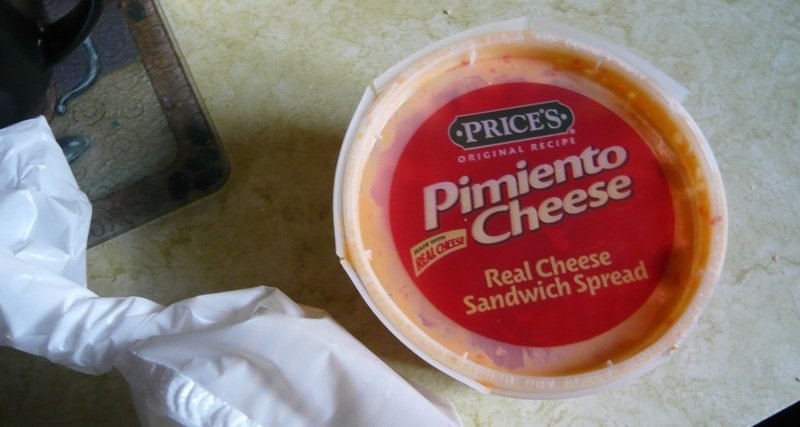 You see, pimento cheese isn't actually Southern, or at least isn't originally from the South. It has now been adopted by our proud region, and has certainly seen far more adaptations and uses here, but pimento cheese was invented in New York by food manufacturers in order to sell new-fangled American Neufchâtel (basically cream cheese) in the late 19th century. That's right — the very first pimento cheeses (then called pimiento cheese by most, and we'll get to why in a sec) contained cream cheese, or at least a version of it. In fact, it was pretty much only cream cheese and chopped peppers; no cheddar, mayonnaise or spices in sight. These original peppers were imported from Spain, where they were given the Spanish spelling "pimiento," meaning "pepper." Over time, many Americans must have decided that such a spelling was confusing and they dropped the extra "i," much like they've dropped the "aroni" from mac and cheese. Spanish pimientos were, however, expensive to import, so farmers in Griffin, Georgia, began cultivating and growing American facsimiles of the pepper in 1911. Most of these peppers, called Truhart Perfection Pimientos, were destined for national distribution and production waned during World War II. 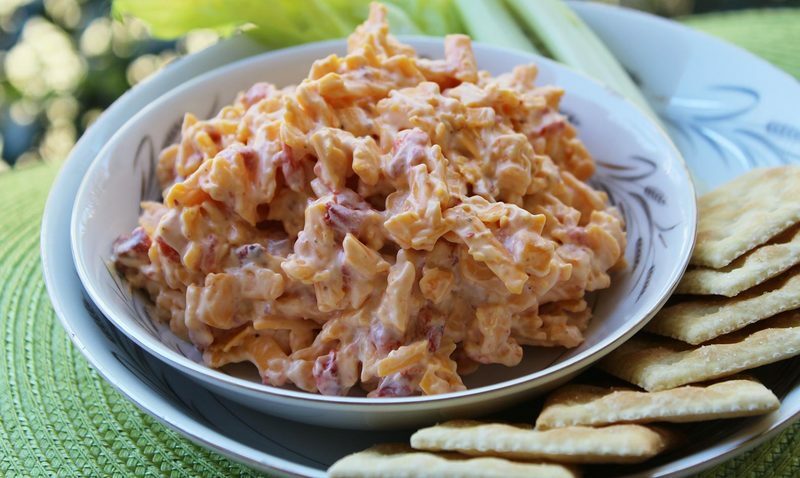 As national desire for pre-made pimento cheese faltered mid-century, homemade versions in the South continued to flourish, often substituting hoop cheese (essentially aged cottage cheese) and mayonnaise for the cream cheese. Eventually this spread morphed into what we think of as pimento cheese today, made with grated cheddar cheese, mayo, peppers and plenty of secret ingredients. I would venture to guess that the "official" spelling of "pimiento" in Augusta has to do with the legacy of the Georgia pepper production. Since that pepper was originally given the Spanish spelling, it stuck and still sticks today with those Southerners concerned with authenticity and provenance. However, if you do insist that the proper and historically acurate way to spell the spread is with that extra "i," please don't tell me it isn't authentic to use cream cheese.